Note: The next IAB Video Connect Event is scheduled for May the 14th 2015. 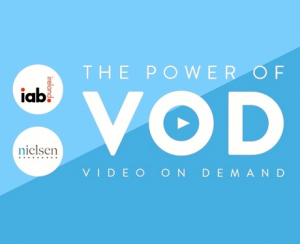 The Power of Video on Demand, IAB Ireland Research Launch was held today at the Wood Quay Venue in Dublin. The morning briefing explored the power of Video on Demand, launched new Irish research conducted byNielsen, shared ideas on how to use Video innovatively and showcased brands who are embracing the emotive power of Video Advertising. This brand new Irish research released, explored the 3 R’s – Reach, Resonance and Reaction of Consumers to Video on Demand, and the opportunities VOD presents to brands. The full Agenda and event details are here. Twitter event feed – please visit @iabireland on Twitter and/or search #iabresearch.